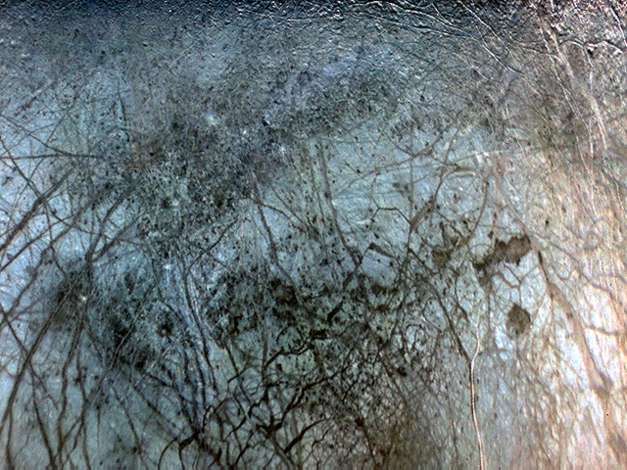 Information: When Europa was first observed by Voyager 2 from a distance of 241,000 km, the maze of dark streaks and markings were thought to be large filled in cracks. However, despite their superficial resemblence cracks, the markings have very little height or depth. They are primarily albedo markings, thought to be the result of underlying fracture patterns in the crust.